The industry’s only objective assessment, the Netskope Cloud Confidence Audit™ is a complimentary service for cloud vendors to have the Netskope research team evaluate their service against the Netskope Cloud Confidence Index™ (CCI) criteria. The Netskope CCI is an objective measure of a cloud service’s enterprise readiness and is adapted from the Cloud Security Alliance (CSA) Cloud Controls Matrix (CCM). Enterprise customers use the Netskope CCI score to understand the appropriateness of cloud services for their organization, identify service gaps against their security and compliance requirements, and determine whether to allow services and identify compensating controls. How enterprise-ready are your cloud services? 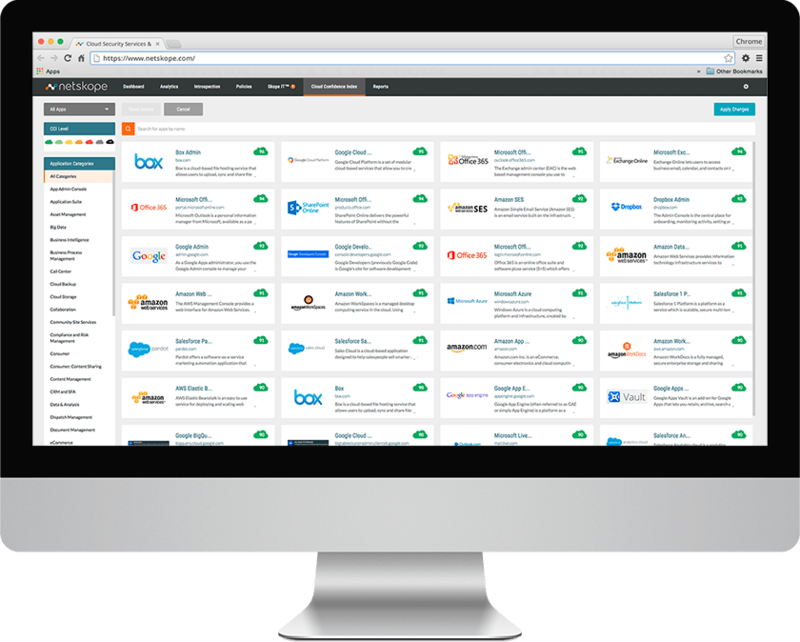 The Netskope Cloud Confidence Audit is a complimentary review of your cloud service against an objective yardstick adapted from the Cloud Security Alliance (CSA) Cloud Controls Matrix (CCM). We measure your service’s enterprise readiness against more than 50 security, auditability, and business continuity factors. For cloud vendors, it’s important to know whether your products stand up to objective security, auditability, and business criteria adapted from the CSA CCM. If your service scores a “high” or “excellent” rating, you benefit from having Netskope verify its enterprise readiness. Simply fill out a form and let the Netskope research team do the rest. For enterprise IT, it’s critical to know the enterprise readiness of your most important cloud services. Enterprises benefit from having Netskope evaluate their cloud services based on an objective yardstick and identify security and compliance gaps. How do your services stack up? Cloud vendors, let Netskope audit your service and earn the “Netskope CCI: Enterprise Ready” seal on your website. This seal validates that the Netskope research team has evaluated your service against a set of objective criteria and you are enterprise-ready.